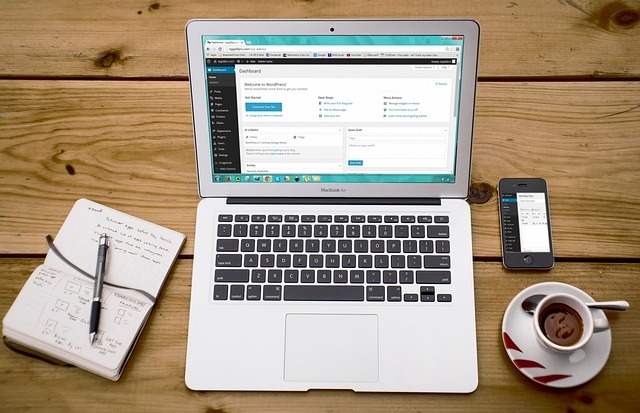 Whether you are a small business or a blogger, WordPress is a fantastic web making tool. It is especially useful for those looking to create smart, stylish websites without the need for a degree in web design. Pretty much anyone can get to grips with the basics to create a visually stimulating blog page or company domain. The biggest problem is getting visitors. There are over one billion websites kicking around on the internet, so making people aware of yours is naturally a very difficult challenge. However, it is possible even if you don’t have the big budgets and company profiles of the world’s biggest brands. Many bloggers and small companies have launched themselves to the forefront of the World Wide Web thanks to creative thinking, hard work, and a surefire plan. The key is to let your passion shine through, which does include putting the required research and effort in before employing the very best tips too. Before worrying about readership numbers, you must make sure your website is up to scratch in terms of both design and content. These points ring true for any site, but particularly if you are using WordPress. A steady stream of enticing content is a must. After all, nobody is going to keep visiting a blog site that only updates once a month. Once you’ve achieved this, you can start to think about engaging your audience. Understanding that WordPress is a community will certainly help you along the way. While some may naively believe that other bloggers are a threat, these people are a tool to building your readership. Interact with other blogs and bloggers. Forming partnerships will be mutually beneficial. It can lead to building an audience together, especially if you aren’t from competing industries. 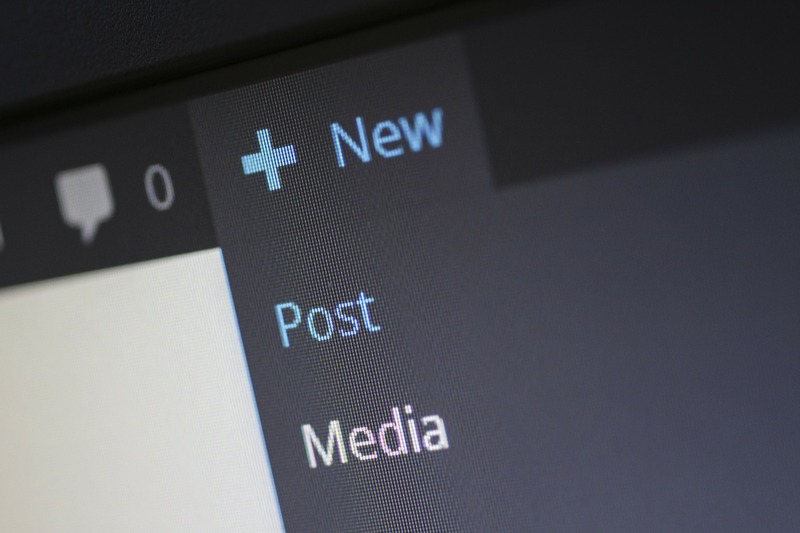 You can even do guest posts on each other’s sites, linking to your own to encourage their readers to visit your site. There is a long list of ways that you can use the community of WordPress to build an audience but you still need your site to stand out with a strong online presence elsewhere. Creative social media campaigns are a brilliant way to interact with users and drum up interest. Once they’ve visited your site, you’ve got every chance of retaining their attention. The WordPress community is a great platform. But you want your site to stand out from the crowd, then you will need to invest in some form of marketing. Using a dedicated service like PPC management will provide a cost effective way of targeting your specific demographic. Moreover, they will produce the results in a way that sees you shoot up the search engine rankings thanks to SEO marketing. The rewards of achieving this are incredible and can boost your readership at an alarmingly impressive rate. Engaging content, combined with strong search engine presence and positive social media interaction is key. These factors will promote any website. For WordPress sites, though, this is the blueprint to gaining a big audience. In turn, this is what will allow you to monetize your blog or simply spread the message of your brand. Web hosts always blame WordPress – I want to create a faux WP site sometime and have a non-WP error so when I contact them and they tell me it is WordPress I can call BS. Is that wrong? I consider myself a fairly well versed user of the WordPress – I’ve been a web developer for over 10 years now and a bit of a technologist my whole life. But there is something about a rash of emails from your website monitoring service to get your head spinning. Yesterday – this happened to me. So, I do what every level headed web dude would do. I create a support ticket with my host and say “Hey – what did you guys do to my site!”. I knew it wasn’t them and I knew they were going to blame it on WordPress. They always do. Anyway…back to fixing the issue. So – about 4-5 times out of 10 when I refreshed my site I was getting the “Error Establishing a Database Connection” messages. Here’s how those look on the backend vs frontend. If you see this…you have “issues”. WordPress “Error Establishing a Database Connection” – when logging into admin. The first “step” is admitting your site has a problem. That took me a little while. Step two – the real problem is you are using too many connections from the WordPress code to the database. It makes it sound like you have a database issue – but in reality…a part of the php code is poorly written. Its usually a plugin, but can be a theme. So – disable all the plugins. Its painful – I know. But trust me when I say – its the easiest was to figure it out. Here is the mini menu on the admin screen for plugins. The menu WordPress provides for plugins is very good. There are two things you need to focus on – Active plugins (red box above) and Recently Active (blue box above). Go to your “Active” plugins and disable them all. This will put them all into “Recently Active”. Check the site. With no plugins…refresh the site 10-20 times. Is the “Error Establishing a Database Connection” gone? Don’t forget to get the admin and the homepage. Also – click around the site a bit. If you look at 10-20 pages and you don’t see the WordPress issue…you probably have it.Still see it with the plugins disabled? – change themes to a default WordPress version. Back to rechecking…did that work?If it didn’t – you may have a bigger issue and I would consider looking into a company like https://fixmywp.com – these guys can help if you find your self in a real pickle with no options. Now you have to go through the work of turning on plugins. I usually do 2 at a time, this will cut the time to test down quite a bit. But you basically do the same thing as in #4 above. Browse the site and see if the connection issue comes back. If it doesn’t after 10-20 refreshes…activate more plugins. I’m not sure if it is easier or not – but you’ll need to find a new or updated theme. Themes use the WordPress framework to “get things done”. I know WP changes things from time to time and it may be your theme was not updated. This will give you a list of all the connections to the WordPress database – you want to see 1 or 2 – a list is bad. That is really what you need to do to figure things out – it can be a single plugin, and combination of two/three plugins or even a bad theme. This is when you can see the value of paying for plugins and themes. The premium market has a reputation of putting out better themes and plugins. Please feel free to contact me if you have questions – I’ll do my best to answer or help when I can. https://tomaltman.com/wp-content/uploads/2015/05/palm-to-head.jpeg 200 500 tom /wp-content/uploads/2015/03/logo_tom_altman_small.png tom2015-05-13 08:27:192015-05-13 08:33:00WordPress: "Error Establishing a Database Connection"
If you are looking for WordPress themes then there are many important things to consider. WordPress is an excellent online website creation tool. It is very popular among website owners because of its powerful and easy website content management system. Millions of blogs, news sites and other sites use WordPress. Its popularity has spawned a wide range of products and services around it. On the Internet it is important to differentiate the website look without compromising the Internet standards. It requires using right theme. If you want to give a professional look to your website then use right WordPress theme. WordPress comes with its standard features that include some basic themes. When there are millions of websites then it is not possible to use same WordPress themes over and over. Seeing the demand for such themes from website owners, there are many online companies and freelance developers who offer theme development services. Hiring a freelance developer to develop your website theme can be very expensive. You may not receive the desired result. If you are not satisfied with the result then the developer may not agree to multiple revisions. For this reason, it is better to take a look at ready to use WordPress themes. You are sure to find a theme that fits your requirements and displays your site contents properly. Themify Corporate is a professional-looking multi-purpose theme that is based from our very own Themify.me site. Both responsive and retina ready, Corporate is built for businesses, portfolios, photographers, web apps, or general company site to promote your services. We’ve packed this theme with multiple features, such as video background, animation, social icons, and animated progress bars, making it one of our most flexible themes that caters to any type of user. This is the ideal WordPress theme for anyone looking to spice-up their site. The theme you choose must meet your requirements. First look for the functionality aspect. The theme must have all functional features and functions. Once you have found a theme that fulfills basic requirements then check its aesthetic aspect. You should be especially concerned about the home page theme because it is at this page that an online user decides to delve deeper into the website or leave it immediately. If a website visitors is unable to find the required thing then the person is not going to stay long. The theme must be visually appealing and each element must get its due place. On the Internet, it is not difficult to find lots of free WordPress themes. However, you should be careful in selecting a free theme from an unknown source because a website theme is basically codes and programming so it may have viruses and malwares. You do not want a website that is banned because it is a security risk to the computers of your website visitors. Choose a theme that has been checked well for security. When you buy premium WordPress themes then you will receive not only the product but associated services as well. Depending on the type of premium theme you choose, the selling company will provide you customization and support services as well. You are free to hire your own developers for customization purpose. Always choose a theme that has been developed recently. Such themes comply with latest Internet standards. You should make sure the theme can be upgraded and modified in future. You do not want to be stuck with a theme that latest browsers cannot render properly or which requires replacement just after a few months of use. Choose a theme that is device agnostic and will work with all types of devices. Premium themes comply with latest search engine optimization standards. Search engines will have no difficulty indexing your website. It will result in higher ranking for your site in search engines results. There are many advantages of installing premium themes. Premium themes give you the functionality that you need. Your website will have friendly user interface. 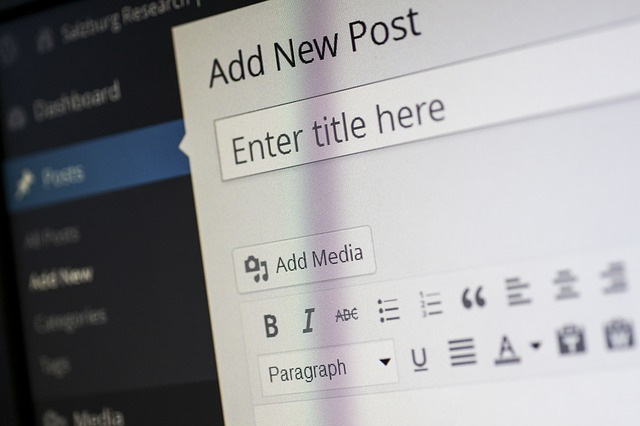 If you want your blog to stand out then choose a theme that has quality. Security must be top priority. Buy WordPress themes from a reliable source that provides guarantee of security. It lets you avoid malicious codes that will affect not only your computer but also those belonging to your website users. When you buy premium themes then you receive good technical support. If you face any problem in implementing or customizing your theme then the developer will provide immediate solutions. Premium themes for WordPress are very cost efficient. There is less need for customization when you choose an appropriate theme. You do not have to hire a developer to customize it according to your requirements. On the other hand, if you want to customize a premium theme then you will not face any problem. Customization is the main strong point of premium themes. When you give due consideration to these issues then you will be able to select the most suitable theme. If a theme only supports one menu, you will be quite limited in your navigational display. Look for themes with multiple menu options. Some templates have sidebar options which will allow you to display a sidebar on one-side, 2-sides or none at all. This is useful in many different scenarios especially if you are looking to promote or monetize your blog. All themes will allow you to install plug-ins but some may not be fully supported by all themes. Check with the plug-in creator and the theme creator to be sure. Most themes allow you to upload an image logo that you may already have or one that you create. However, not all free templates allow this option. Just check the theme details before you install it. There are thousands of free options available through WordPress.org and from other designers. Be careful when using 3rd-party themes because some of them may contain code or links that you cannot remove from the theme. Usually this is not harmful but some people prefer not to promote other links from their blog or website.